My school journeyed the mountainous province of Lampang last week (Thursday and Friday) to attend the annual sports activities of Rajabaht Universities of the 8 provinces of Lanna. In my four years in the university, only this year I was able to join. We made a few stops along the way for the wash room. But because i was dead tired the day before, I slept silently on the bus instead. 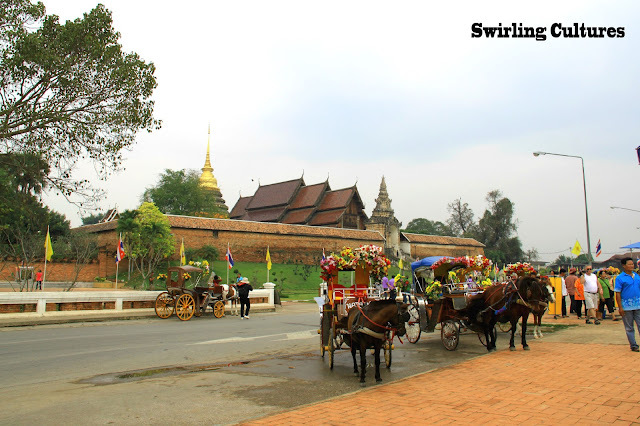 The only thing other than having breakfast that made me get off the bus was when we arrived in Lampang's Wat Phra That Luang. It looks like a fortress from a far. A citadel of the eighth century fortification that guarded the routes to Lampang. It was my second visit to the temple but never made a dedicated post of it yet. 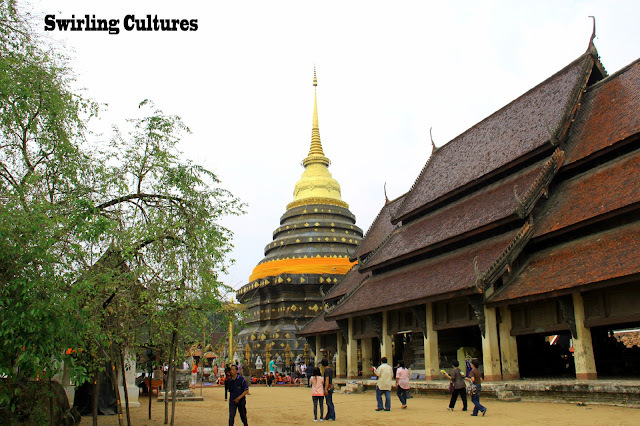 If you want to see my first Lampang experience you can check out this LINK. 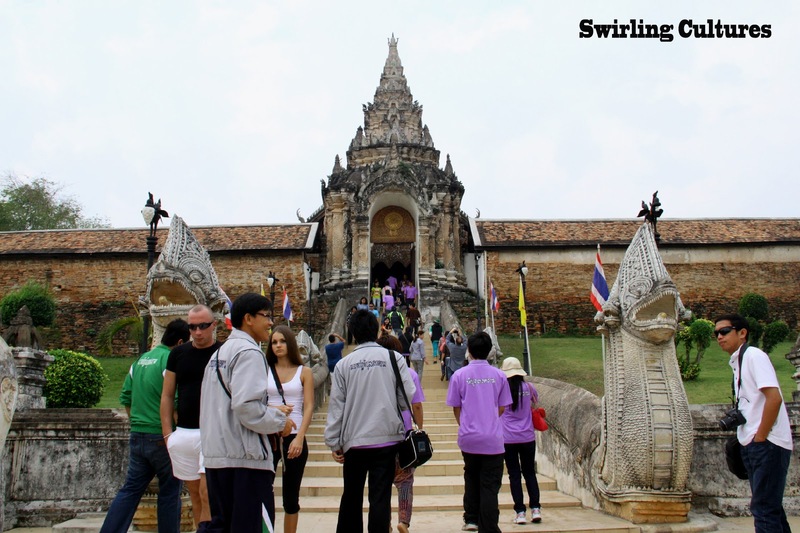 Anyway, unlike other temples in Thailand especially the popular ones, Wat Phra That Lampang Luang does not posses the modernity of Thai traditional temples. Its courtyard is still sandy and all sides of the prayer hall are still open. Sacred relics that had been worn out by time are open for display near the centre. And if you wish to have a picture backdrop of some artifacts created during the 17th century, you can do so on the right hand side facing the main hall. Tourists can't help but click their shutters. wow! i have not been to this temple during my Lampang visit. Should check this out next time! thanks for the visit, John!